Royal Caribbean will take delivery of the world's largest cruise ship, Symphony of the Seas, on Friday, March 23, 2018. The event will celebrate the handing over of the ship from French shipyard STX France to Royal Caribbean Cruises Ltd. The ship cost 1.2 billion euros, and will be the 13th ship delivered by the shipyard to Royal Caribbean. Royal Caribbean's fourth Oasis Class cruise ship measures 362 meters long and 66 meters wide, and weighs in at 228,000 gross tons. Sea trials are scheduled to commence on Thursday and last to Sunday, which will test the ship's performance. 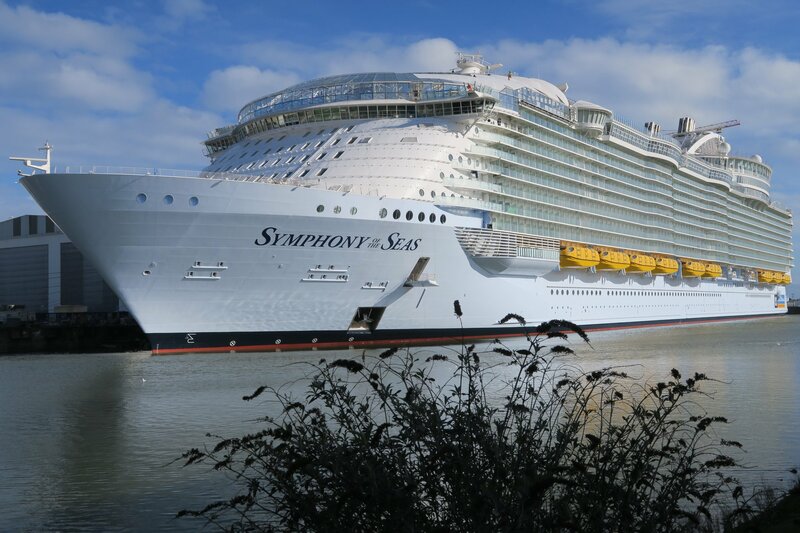 Symphony of the Seas will be Royal Caribbean International's 25th ship in the fleet and will start its inaugural season in the Mediterranean Sea this summer, before arriving in her home port of Miami.